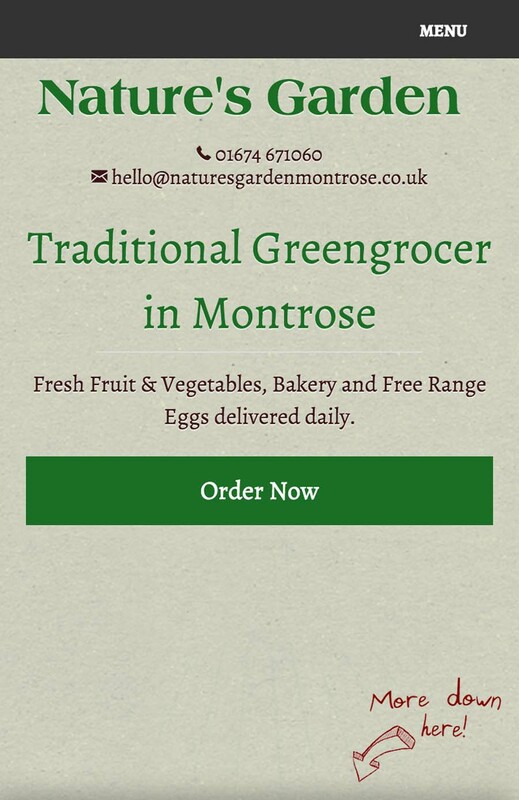 Nature's Garden is a traditional greengrocer based in Montrose primarily dealing in fresh local produce. I was approached to develop a website in order to provide an online presence to supplement the business' already thriving presence on social media. 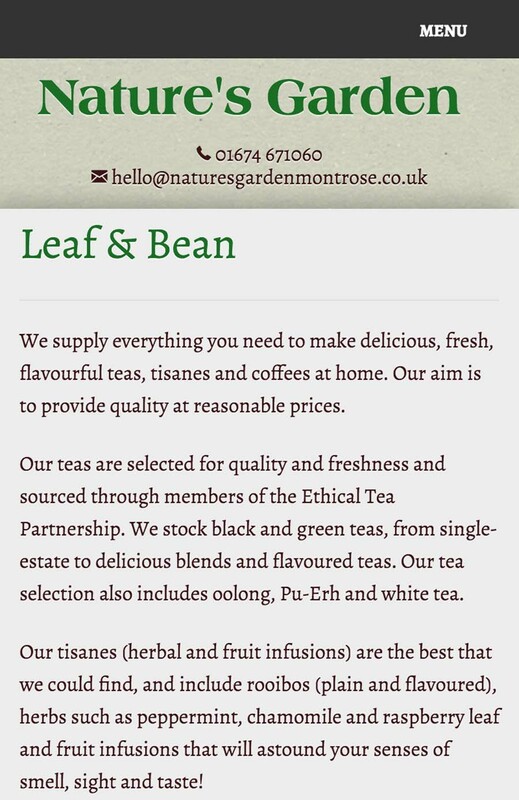 The design we came up with has an organic feel to it and incorporates various elements from their existing branding such as colours and type. A key feature is the online order system which allows customers to place orders for Nature's Garden's primary product - fresh fruit and veg boxes - online. This simplifies the order process and ensures that all information is gained from the customer in one step increasing efficiency. During the order the customer can opt to pay online via PayPal or choose various other payment methods including cash on delivery.